Twelve year old grandson put in a summer at the range, earned his hunter safety card and spent last year in the deer stand observing how the game is played. It all came together on opening day of firearm season with a one shot clean kill on his first deer just before the snow hit. No coaching needed from grandpa. His rife wasn't a Model 8/81 but it was an 40's vintage Remington 722 in the venerable 300 Savage cartridge. Very cool. I hope you two can spend many more years together hunting and making memories. I can appreciate the time and effort to teach your grandson how to do it right. BIG congratulations to him, sounds like he was patient and it paid off! Very nice deer! I bet he will be smiling till next season . 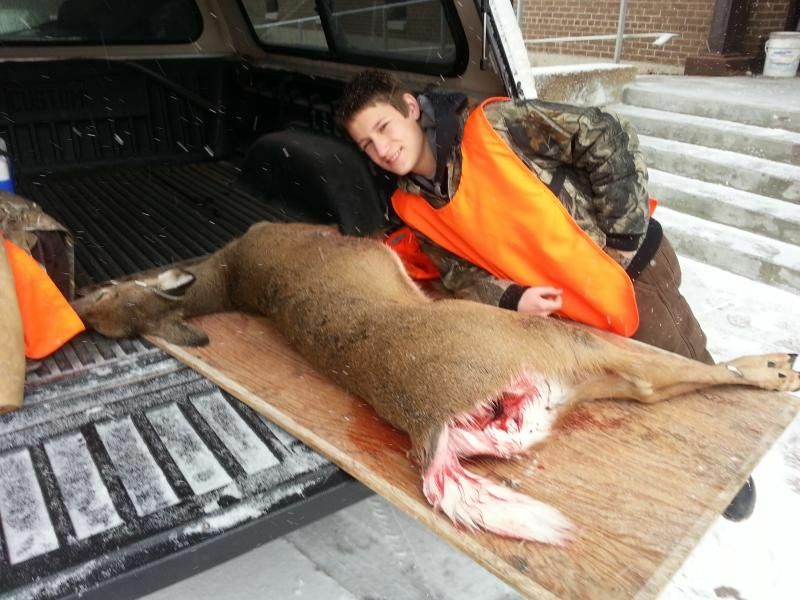 It is so nice to see the younger generation out hunting . Great picture and story. I just passed on a 721 in aught six to a young hunter at our camp. I hope he can score a nice deer with it this year. The 722 in 300 Sav is about as good as it gets for a deer rifle. He will be well equipped in any camp. Hey Wildgoose, Thanks for the absolutely awesome story and picture! Now that's a memory that will last a lifetime for your grandson. My hat is off to you sir. Congratulations on a memory/hunt, that was very well done. The title of your post says it all sir. I wish my grandpa could have taught me to hunt. I had to learn from a friend in high school. I have no children. I am beginning to wonder who I will pass my property on to.